Tomorrow marks the second time that I will run the Backpack Classroom. This time I am taking my current class which is a Grade 4 class. They use Macbooks 1:1. Actually I will go with the whole year level. Our aim is to create 39 books. What is the Backpack Classroom? This is a simple idea that I had at the end of last year. 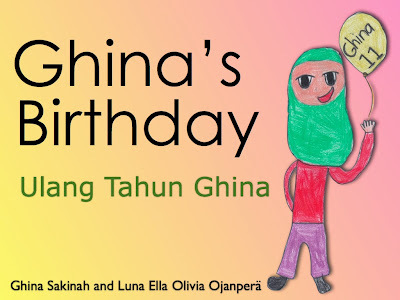 It is a way to help children with limited access to technology to create a digital book and to publish it. I originally took a backpack of iPads to a remote village in Sumatra to teach the children there to create digital books. 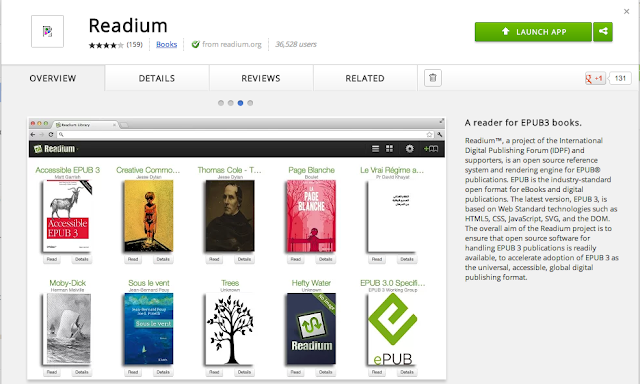 It resulted in 9 books that to date have been downloaded over 20,000 times. This time I am taking my current class from the International school that I currently teach at. My class has Macbooks as their 1:1 devices. We will keep it simple by using Keynote and Photo Booth to record the story. We will go to the Santi Rama School in Jakarta. This is a school for deaf children. We have chosen to visit this school as our current topic is about how we can modify messages to suit a particular audience. The books will be tri-lingual. That means that there will be 3 languages included on each page. The children from the Santi Rama school understand Indonesian. They are all deaf children and use sign language to communicate. 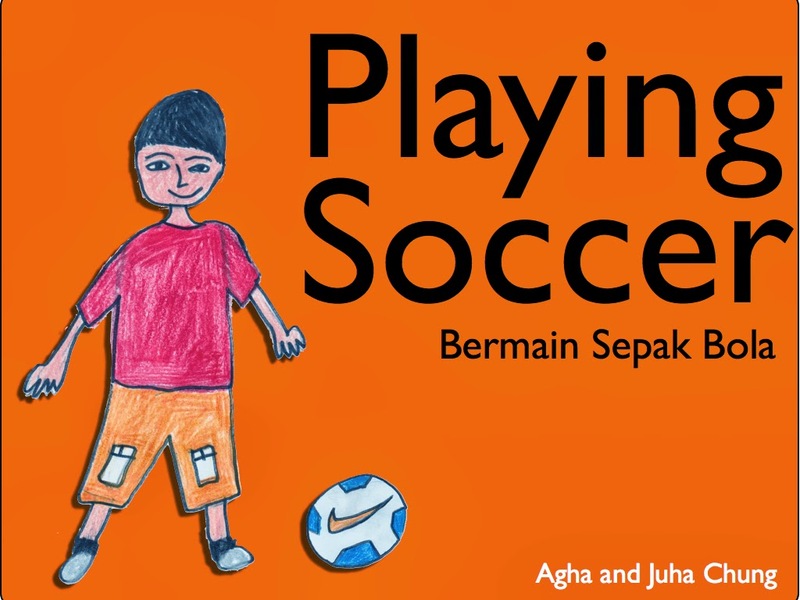 To make the books more accessible for an international audience we will translate the stories into English. My students will act as publishers and then promote the finished books to an international audience via their blogs and other online forums. Where did you get the idea to go to Santi Rama? I have been visiting this school with different classes over the years. I have always gone to see them so that my students can make new friends and learn about communicating in sign language. This time the focus will be on to help each deaf student to create a digital book that we can publish to the world for other children to read. The idea is for each SWA student to have a Santi Rama student partner. 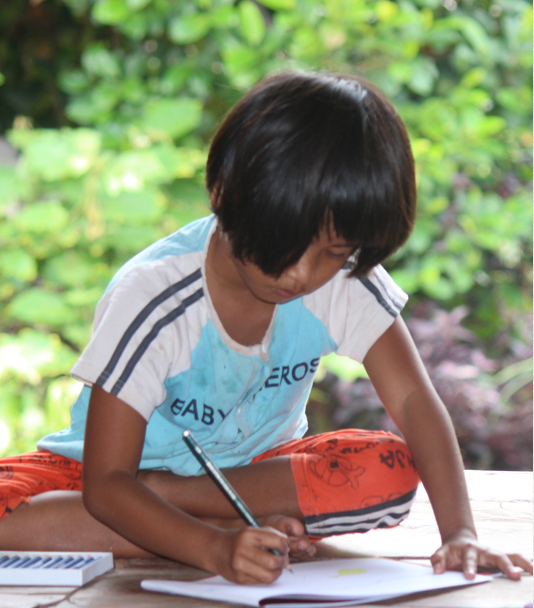 The Santi Rama students have been preparing for tomorrow and have already written their stories on paper and made some illustrations. 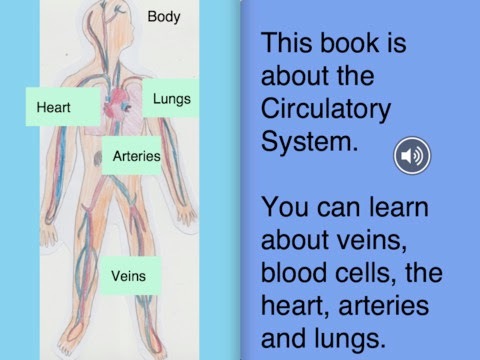 My students have been learning about how to create a digital book with embedded video on each page. They have also been learning how to create digital artwork to illustrate the book. We are really looking forward to tomorrow. More information to come after our visit. I was so very excited to receive the newest update for the Book Creator app for iPad last night. This update offers extra support for ePub 3 which now makes it possible to read Book Creator multimedia books on a Macbook or even a Windows computer. I eagerly tried it out and it works really well! I even tried it on my husband's Windows computer. Take a look! 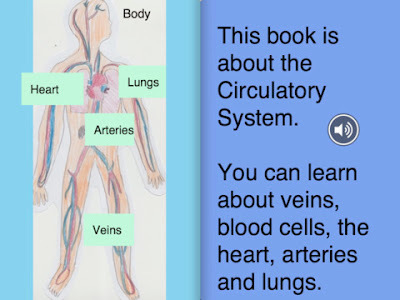 A lot of my books that I have already made with Book Creator can already work using Chrome with the free Readium app. Download the Chrome browser here and then be sure to add the Readium app from the Chrome store. Get it from here. Then you click on the + sign to add books from your computer hard drive. Here is a photo of the book 'Our Batak House' made in Sumatra during the Backpack Classroom project being read on a Windows computer. In case you're wondering ... yes all of the voice recordings work well. 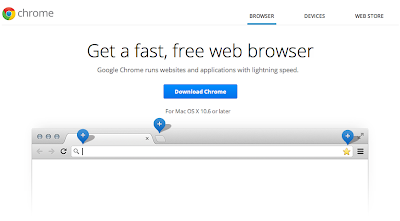 Here is a screen shot from within the browser. I am so excited about this development. The new update for Book Creator offers even more support for this. Now you no longer need an iPad to read books that have been created on an iPad. This means that even more people can read the books that we create. 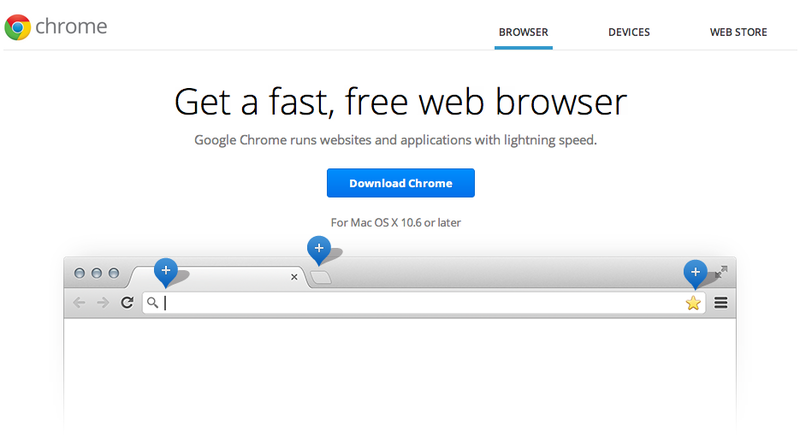 Perhaps even Android might get into this and make an app to support Chrome with Readium? I am often asked what are the best apps for learning with iPads. Actually it's not just about the apps. It's about the teaching and learning. I am fortunate to work in an IB school and as a part of a team. This team compromises of another year level teacher, an EAL teacher (just for our two classes) and an Indonesian teacher with a strong inquiry background. We plan together and teach together. One of the great things about that is amongst us there is a lot of experience from which we can draw so many ideas. I want to give you a glimpse into the current learning in my class. The inquiry is all about conflict. What is conflict, how it is caused and the different ways it is resolved ... or not resolved. I teach 9 year old children and the point of this unit of learning is for my students to learn to describe everyday conflicts and to learn how these conflicts are resolved and hopefully learn about some strategies for themselves. 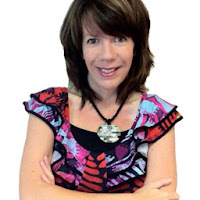 Have you noticed yet that I'm not talking about apps but about the learning? During Literacy time I have been doing a novel study with the class. I chose to study Anne of Green Gables as there are so many examples of conflict in this story that my class can relate to. I have 1:1 iPads in my classroom. 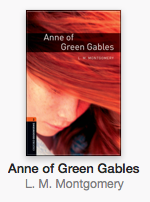 I was able to locate many iPad books of Anne of Green Gables but I have chosen an ESL version which is simplified and much more accessible for my students. I like this version because it has illustrations throughout the text and it comes complete with comprehension tasks at the end of the book. My students are creating a book review using the Book Creator app on their iPads as we read the story and watch the movie in parts. We don't need any paper because we read and create the review directly on the iPads. Anyways, back to the iMovie Conflict Theatre task. As my class is developing their understanding of how to describe conflicts, they have been placed in small groups of 3 to create a script based on a conflict that they have experienced themselves at school. I really like for my students to work in groups to write. This gives them an opportunity to learn from one another. The students were asked to write for 3 roles; the narrator, the protagonist and the antagonist. Narrator : There was a girl called Amy. She had a big problem about being bullied at school. Kelly was a bully and she was always saying bad words to Amy. Amy : I don't have any friends to play with so I don't want to go to school. Kelly : How come you don't have any friends like me! Narrator : Amy always ignores her. She always using the avoiding strategy. Narrator : The next day Kelly came to Amy to bully her again. Kelly : Give me that iPad! Amy : No I don't want you to take my iPad because you already have one. Keily : Hey I said give me your iPad! Amy : But I am still using it right now. Kelly : I said now Amy!!! Amy : Fine I will read a book instead of using my iPad. You can have my iPad now. I can continue my work with my iPad later on when you return it. Narrator : Amy was using the accommodating strategy. Narrator : At lunch time Kelly approached Amy at the cafe. Kelly : Hey you ugly girl. Narrator : Amy couldn't deal with this problem anymore so she decided to force Kelly to stop bullying her. Kelly pushed Amy. Amy : Try to hit me more. I will hit you back! Kelly : Ok, if you lose you have to buy lunch for me. Narrator : So they started fighting but the fight didn't stop. Then school was over for the day. This is using the forcing strategy. Narrator : The next day Amy tried to trade something that Kelly needs so she would be nicer to Amy. Kelly tried to using the compromising strategy. Amy : I really want to be good friends with you. Kelly : I don't want any friends like you. Amy : If you will be friends with me, I will help you with math. Narrator : They became friends just for that day. Narrator : The following week, Kelly bullied Amy again. So Amy tried to find a new tactic. This time she tried the collaborating strategy. Amy : Kelly if you don't stop bullying me I will write this problem my the blog so everyone will read it and know who you really are. Kelly : I dare you, you jerk!! Amy : I don't care if I am a jerk but I want to stop this bullying forever. Kelly : mmmmmm....... Ok. Lets just stop this thing. Narrator : So they became best friends forever after they had tried so many different solutions. This script was written by two girls and a boy. Now that the script is ready having been emailed to the teacher and checked and emailed back, the next step was to make it into an iMovie. Here is a short film of some of the students actually filming their iMovies. Before each group went out to film, they sat with a teacher and broke their script into scenes. They also learned about camera angles, how best to shoot with an iPad and how to act out their scene making it interesting and full of action! So far it's looking very nice. The kids are learning about using their voice, facial expressions and their hands to convey emotion. How can kids learn this? Well, I simply project the video clips via airplay to my Mac and project them up in the classroom. As we watch each take, we can discuss what works and what doesn't. I'm looking forward to tomorrow to finishing the captures so that we can begin the editing process. 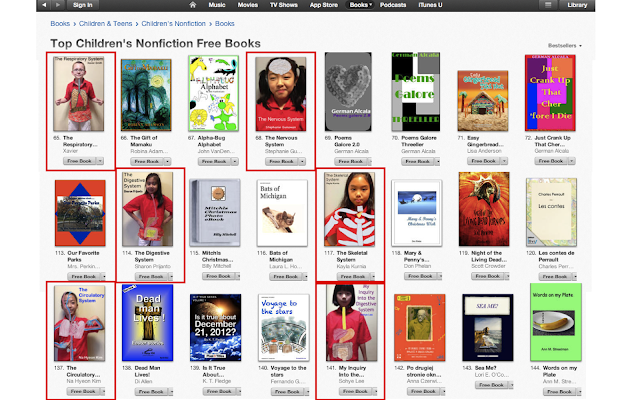 Yesterday I took at look at the download stats for my 6 students who have recently published to the Apple iBookstore. 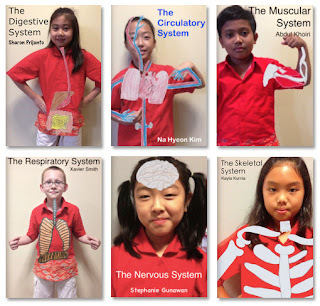 We were thrilled to discover on the US iBookstore all six of my published students are currently in the top 150 downloads for children's non-fiction books. It was quite awe inspiring to project this screen up in the classroom. We decided to take a small 'world tour' of different iBookstores to see just how many countries are featuring these books. We learned that in the US, Australia, Canada, the UK and the Netherlands, some or even all of these students are ranked in the top 200 downloads. That's quite an achievement for a group of 9 year old students. The books that these kids have written are research-based and focus on a particular body system. 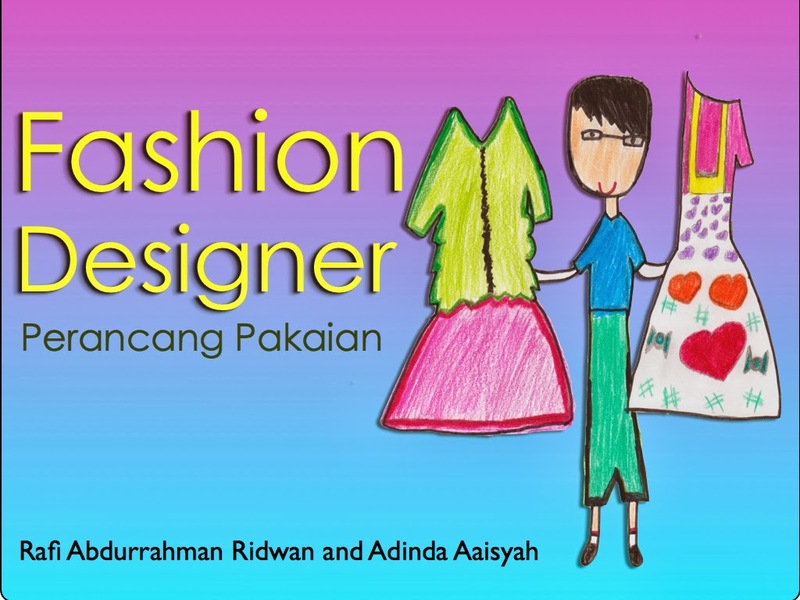 The kids had to cite their sources correctly with author, year, title and page number or website and all photos, videos and diagrams were produced my the students themselves. We also noticed that some students from our school who published last academic year are still ranking. It is obvious that most of the downloading is happening in the US. We have consistently had the most attention from that country. This is being closely followed by the UK and Australia. I want to try to tell you all the story of the Backpack Classroom. This is part one. I am going to need several attempts to tell this story. The Backpack Classroom was an initiative led by me to teach storytelling on iPads at the Tambunan Village in North Sumatra. I intend to publish an iBook on the whole project later. This blog will act as a place to get my thoughts organized for that iBook. I am married to a Batak. His family comes from North Sumatra and we have been to visit our village several times. Our village is very remote. It takes about 8 hours (if there is no traffic) to drive there from Medan. Villages in Sumatra are quite small. There are about 40 houses in this village. 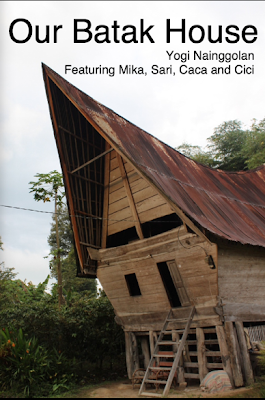 Some houses are new and some are the traditional ones with the big curved roofs that look like boats. This time we visited our village we had a new goal. I have been wanting for some time to do some storytelling workshops with the local children. I loaded up my backpack with 5 iPads (3 iPad 2s, an iPad 1 and an iPad Mini) along with an iPad camera kit, a DSLR and my Macbook Air. I wasn't sure if I would be able to do much teaching as it is school holidays, but I was hoping that I could run some informal workshops. The night we arrived the word passed around and to my delight our house soon filled up with children from Kindergarten to Grade 9. I am fortunate to have wonderful children of my own who were able to act as mentors. That night we pulled out the 5 iPads and introduced the village to interactive stories on the iPad. 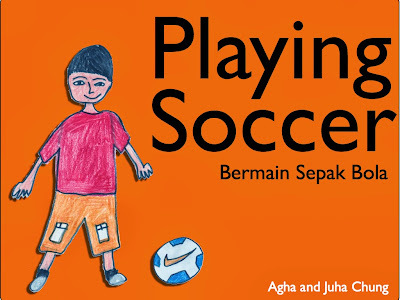 The kids were amazed and loved to read the stories that I had loaded that were all written by my students in Jakarta. 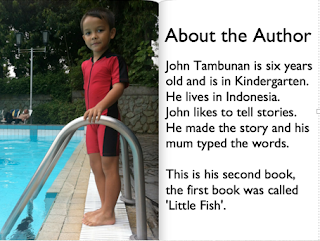 I tried my best to explain that these stories had been written by children and published to the iBookstore. Then I pulled out Kayla's book 'The Skeletal System' that had been printed up, they finally understood that these books were actually books. Everyone wanted to write a story - but then came the tricky part - the kids had to come up with their own stories. I knew that my best strategy is to lead by example so I decided to make a story about the house next door. This house is a traditional house. 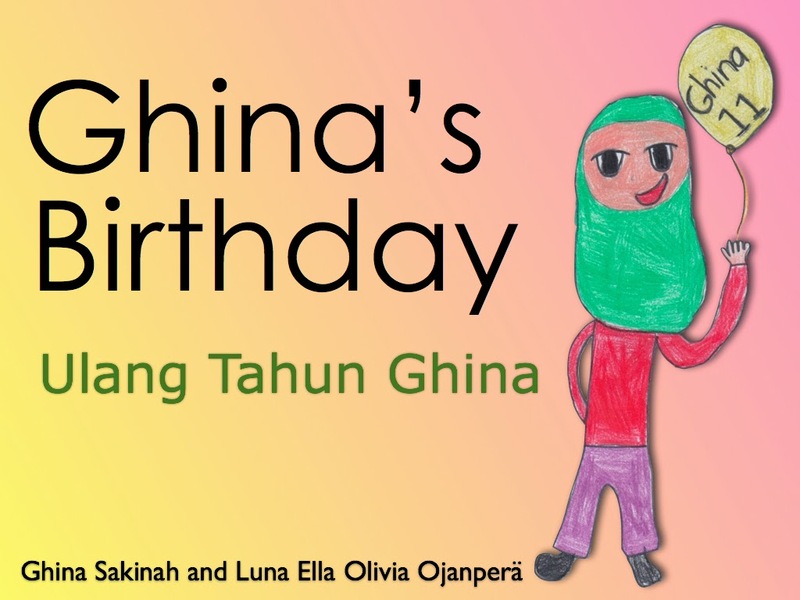 I decided to make a simple story about the four grand daughters of the house. Here is the cover of the book. I will have to finish this post later. 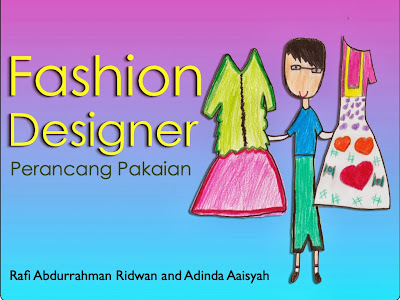 I need to put the final touches on this book and upload it to the iBookstore.